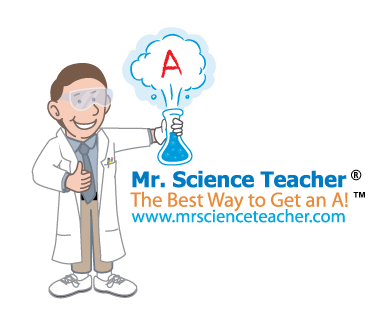 Mr. Science Teacher ® - The Best Way to Get an A! with certifications in physics, chemistry, and mathematics. Students obtain strategies and problem solving skills in a convenient, safe and friendly online environment. Get Started Today & Earn Better Grades! Mr. Science Teacher® provides tutoring, homework help, and online video courses in chemistry, physics, and math for high school and college students - a great online resource for homeschool, private school, and public school students! The goal at Mr. Science Teacher® is to teach in a language you will understand. We strive to help students acquire problem solving skills and think analytically. Help Mr. Science Teacher® find more students by recommending our YouTube videos to your friends and promoting Mr. Science Teacher® on Facebook and other social networking websites; learn more about Referral Rewards.